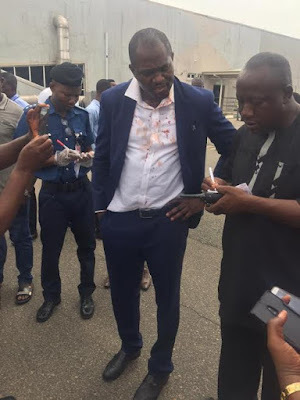 Chief Blessing Agbomhere, a former Edo State #APC Governorship aspirant was on Monday assaulted by thugs at the Benin Airport after he arrived from Abuja. 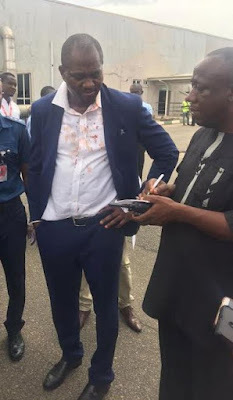 In the video below, Agbomhere who was suspended from the party over alleged anti-party activities last month can be seen with blood stains on his shirt. While speaking to newsmen, he said one the thugs who approached him at the airport told him that he was warned never to come to Benin after he disrespected their boss, a chieftain of APC. 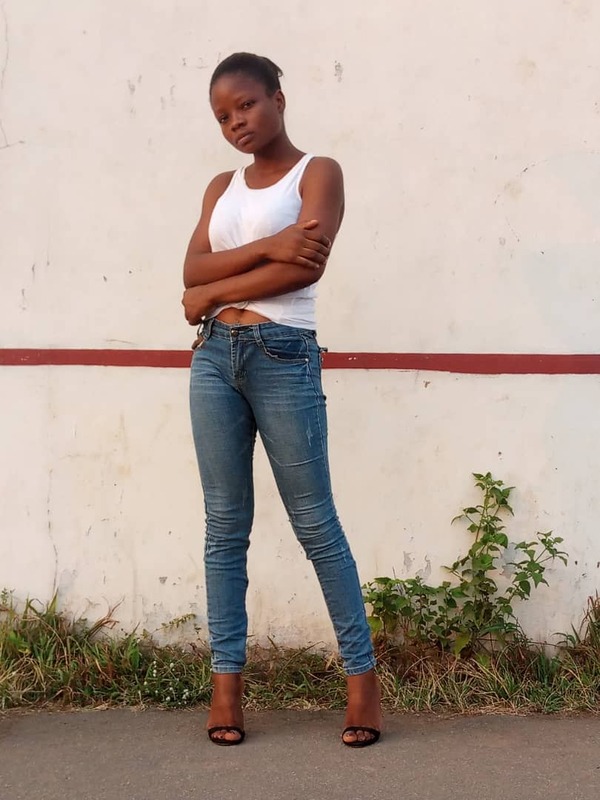 Agbomhere who was attacked alongside a former governorship candidate of the People’s Democratic Movement in Bayelsa State, Moses Siasia, who accompanied him to Edo State, accused the current Deputy Governor of Edo State, Phillip Shaibu of masterminding the attack. According to reports, three suspected thugs have been arrested over Monday’s attack and are currently being investigated.